Thanks to Jonquil for the link, from the great site Pink Loves Brown! They also have a needle and thread and scissors. By the way, more than you ever needed to know about me is up at Norman Geras's blog — he asked me to do one of his profiles, and I happily agreed (I love questionnaires). Get "That Know-How Look Boys Like"
Wow erin – thought I was the only person alive still reading (and rereading and rereading) Trollope. I’m glad to find I’m in such good company! Oh, Erin! Do not fear. You can still learn to roll your Rs. When I was in middle school I was so stinking excited to begin taking Spanish class that I practiced rolling my Rs for the entire summer. So everyone could hear me in my parents’ garden, repeating ad nauseum while picking beans or weeding corn, “Ruffles have ridges”, “Ruffles have ridges”. I suppose that phrase really helps date this story! But, by the end of the summer I could passably roll my Rs. You can do it! Maybe while you sew you can chant “Ruffles have ridges”?! Hey, you can come down and be a “Today’s Special Guest Reference Librarian” with me any time! If you are ever in Houston…just let me know! Best quote from the interview?What is your favourite movie? > The Princess Bride. I think anyone who says that they don’t like The Princess Bride is lying, or possibly a Cylon.HahahahahahaPrincess Bride AND Battlestar. Last year I began covering a jeans jacket with pins I adore. I get alot of compliments on it even though it is basically pretty tacky. I just love it & it is fun to wear. Try it and see! I am going to sew a huge denim tote bag, lined with nice vintage barkcloth and carry it with me to all the flea markets and estate sales in Portland, Oregon covered with pins, patches and buttons! PS: I can’t roll my Rs either . . . even after years of speech therapy in elementary school! “I think I would feel a lot less guilty about the amount of fabric I buy.”A statement for the ages! Hey, I love when bloggers I read but think are completely unconnected to one another turn out to be connected – all little serendipities. I love normblog. And if you check his site, you’ll see that right after your profile he also has a post about Manolo’s Shoe Blog. Norm is clearly a man of parts. And taste. I’ll also have a look at the three blogs you recommend. By the way, by another little coincidence (well, it’s a coincidence to me) I used to have a subscription to Verbatim when I was about 16. It was a godsend to me in Collinsville, Ct, and I loved it. I was also a big fan of Willard R Espy (and a sad, sad teenager!). oops sorry, computer playing up! Erin There’s still hope on learning to roll your Rs. When I was taking high school French, I could never do it, and had to use the back of the throat alternative. But years later, trying to speak Japanese* to a cat, suddenly I could roll the R. Very inappropriate for Japanese, but useful for speaking to cats. (Yes, they come running when I call. )*In Japanese, the R sounds to Americans like an L or D. Not rolled. 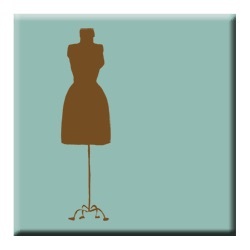 I LOVE the needle & thread pin – I think I’m going to have to get one of them!